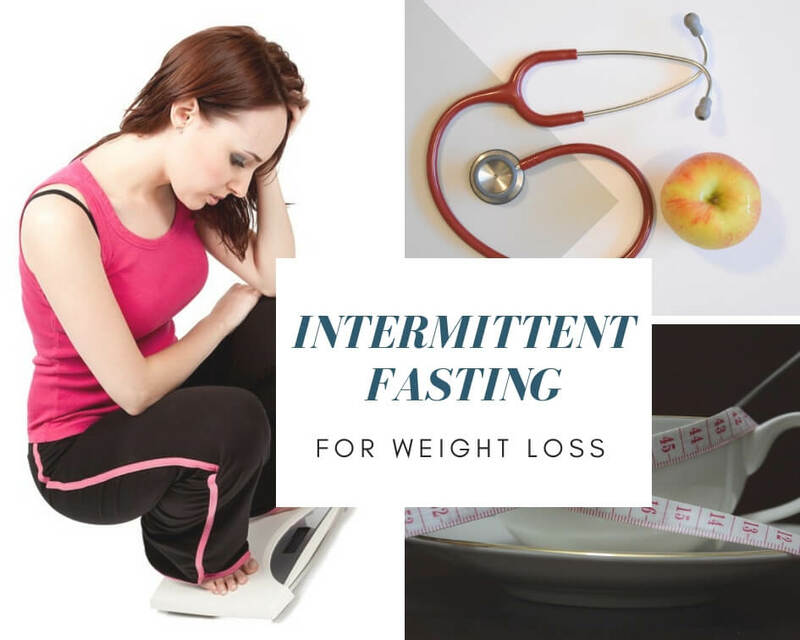 Lately a new form of weight loss strategy has been presented to us – the so-called intermittent fasting, also known as “on-off diet”, promising quick weight loss. So, what is intermittent fasting for weight loss and what are its pros and cons? I first heard of intermittent fasting from my brother-in-law who, following the “on-off diet”, lost much weight and boosted his muscle mass in just one month. The intermittent fasting helped him also improve his overall wellbeing. if you want to lose weight healthily and naturally, you must not skip meals; moreover, it is advisable to have at least 5/6 small meals during the day. I must admit, this “5/6 meals a day” formula helped me lose 22 pounds years ago, and since I know firsthand it is something that really works, the idea of intermittent fasting sounded a bit odd to me in the beginning. Yet, I read lots of positive reviews from people who followed it, so I got curious and chose to learn a bit more about this kind of dieting. Intermittent fasting is a nutrition plan, that alternates periods of fasting with periods of eating normally. It is also known as The Leangains Method, come up with by Martin Berkhan, according to which a day is divided into 2 parts: 8 hours during which you eat 2 or 3 meals and have a work-out session, and 16 hours of complete fasting. This scheme, come up with by Ori Hofmekler, is based upon one single meal a day, preferably in the evening, without calorie or macronutrient restrictions. Whereas during the day you can eat fresh vegetables and fruits, abstaining from eating carbs like pasta, bread, cereals, etc. This diet is designed to help the body burn more fat, remove old toxins, boost energy metabolism and improve our resistance to stress and fatigue. Also known as the 5:2 scheme, this diet was come up with by Doctor Michael Mosley, and suggests eating without restrictions 5 days a week, and fasting the other 2 days. It is not complete fasting, but rather a reduction in the calorie intake: 600 calories for men and 500 calories for women. It is advisable to drink much water, tea and herbal teas without sugar. Doctor Mosley says he lost about 20 pounds in 2 months simply following this intermittent fasting plan. This is another form of fasting, come up with by Brad Pilon, and requires fasting one or two days a week. In this case it is complete fasting, no food is allowed. During the other days of the week, you must follow a normal calorie-intake diet. (calculate your daily calorie requirements and set up your weight loss goals HERE). It is another eat-stop-eat plan, with the difference that during the no-fasting days there aren’t any calorie restrictions, or foods you mustn’t eat. 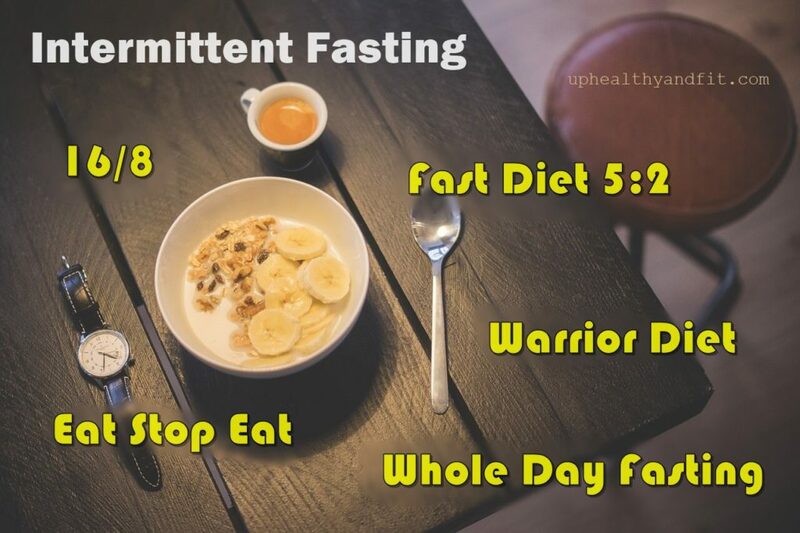 For beginners an easy plan to follow is to create a 12/16 hour fasting window, so that it can affect both calorie intake and hormonal metabolism. For example, if we had dinner at 8 p.m., we shouldn’t eat untill 8-10 a.m..
Why should you use intermittent fasting for weight loss? The first reason is pretty simple – intermittent fasting helps you eat less, thus decreasing calorie intake and, as a consequence, it promotes weight loss. Not to eat for long periods of time helps to boost insulin sensitivity, especially if combined with work-outs. As a result, when we eat, sugar levels in the bloodstream stay normal, not letting our body store calories from carbs in the form of fat. Lower insulin levels help to burn more fat. What is more, intermittent fasting promotes the growth hormone secretion, which makes protein synthesis faster and makes fat available as an energy resource. Intermittent fasting boosts muscle growth. It has been shown that after 12-24 hours of fasting our body goes into ketosis, which is a state when it starts to burn out fat in order to get energy. There are also many so-called Keto diets, based upon eating fat-rich foods, and aimed at triggering ketosis. Yet, more and more research has shown intermittent fasting is much more effective for weight loss than Keto diets. #1 – The main benefit of intermittent fasting is the fact our body starts to use fat as a primary source of energy, and therefore insulin level drops. Insulin is a hormone responsible for triggering several diseases (cardiovascular diseases, diabetes, cancer, etc.). #2 – Intermittent fasting has a detoxifying effect, and helps to trigger autophagy in our body; in other words, it helps to remove damaged cells and to promote cellular regeneration. #3 – Intermittent fasting helps to lower blood pressure. #4 – Intermittent fasting (especially “Fast diet” and the 5:2 plan) might help to lower the risk of some types of cancer, especially breast cancer. #5 – During fasting our brain works at its best; in this case anthropology explains why: food deprivation creates a state of alertness, in order to help the brain to focus on food search. #6 – Intermittent fasting boosts neural connections, memory and mood. Ketosis promotes the release of a molecule, called Bdnf, which boosts neurons and brain connections, and is responsible for learning and memory. This is the reason why more and more studies suggest the benefits of intermittent fasting and Keto diets in order to prevent and cure neurodegenerative diseases, like Alzheimer’s. #7 – Intermittent fasting helps to lower inflammation and boosts the immune system. #8 – Intermittent fasting contributes to lower LDL cholesterol (bad cholesterol) and triglycerides levels. #9 – Intermittent fasting has anti-ageing effects and improves life expectancy. This diet, also known as “longevity diet”, was come up with by Dr. Valter Longo, director of “Longevity Institute” at “Southern California University” and director of research program “Oncologia & longevità” at the IFOM FIRC Institute of Molecular Oncology in Milan, Italy. This diet, unlike the other forms of intermittent fasting we already know, requires fasting for 5 days every 3-6 months, with valuable proven benefits to health and life expectancy. 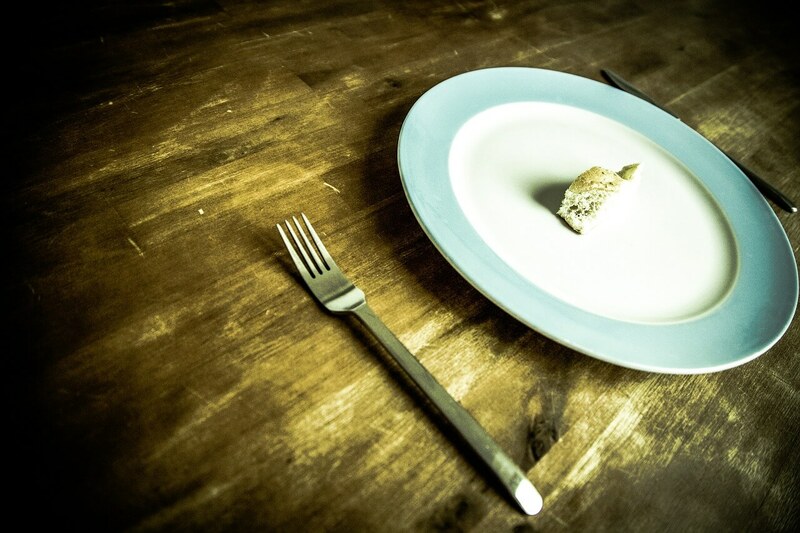 A few forms of intermittent fasting may be hard to follow and may not be fit to everyone. Since it requires a restricted food intake, it is suggested to seek medical (nutritionist) advice before starting and intermittent fasting plan. Intermittent fasting, if you don’t have any specific health disorders, is generally well-tolerated by our body. At first you may feel fatigued, sleepy, dizzy; have insomnia and mood shifts – all temporary symptoms, which fade away as soon as the body adjusts to the new diet regime. What are the contraindications of intermittent fasting? People suffering from hypoglycemia, cortisol imbalance or hypertension must be extremely careful if they want to start an intermittent fasting diet and have to seek medical advice first. This diet plans are not fit to people who suffer from eating disorders or chronic fatigue. Intermittent fasting is not advised during pregnancy and breast-feeding. As with any other kind of diet, also in case of intermittent fasting for weight loss it is important to listen to our body, to find the perfect balance. The new diet plan has to adapt to our daily routine, it has to meet our nutrition requirements, and at the same time, it has to help us reach our goals: be they weight loss, muscle mass boosting, or promoting our health and overall wellbeing. This is really great info about intermittent fasting. I did it last month for a few weeks. I did the 16/8 and I loved it also ended up losing some weight then temptation kicked in and I indulged. Since then i need to get back to it.